London based visual artist Marta Di Francesco explores new aesthetics by merging poetics with code. She creates visual artworks that take the form of moving image works, single-channel audio-visual installations, and screenings. Her work deals with issues of digital identity and its fragmentation, time perception and presence. For over a decade, she has been writing and creating works which inhabit and cross over the worlds of film, dance, fashion and code. Marta will talk about her creative process, sources of inspiration, and her approach to creating VR art projects. There will be a discussion on “The Poetics of Virtual Reality” right after the talk, featuring Marta di Francesco, Bushra Burge (artist, entrepreneur, and CEO and creative director of creative technology studio BB), Geraldine Atg (new media curator and producer) and Carmen Salas (curator and creative producer). 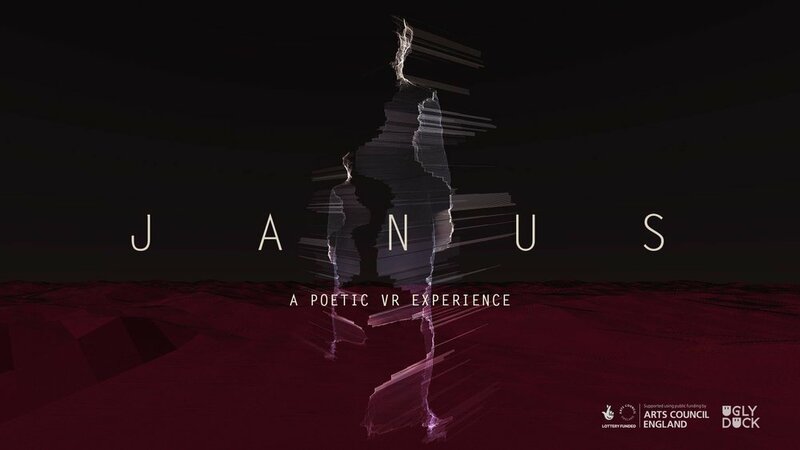 The evening will conclude with an opportunity to experience Marta’s new project JANUS VR, a 4 minute long immersive experience that explores the duality of time and its effects on our identity. Inspired by the ancient god of time, the two-faced Janus, the project questions the meaning of one’s identity in times of transformation. This project has been produced by Carmen Salas with the support of Arts Council England and Ugly Duck. 19:00 - 20:00 Conversation with Marta di Francesco, Bushra Burge and Geraldine Atger, moderated by Carmen Salas.